If you're a pretty frequent reader of freethegoddess, you should know by now that I love reading philosopher James Allen's work. I'm in the process of reading The Master of Destiny, and one of its chapters is called Practice of Meditation. The chapter opens with, "When aspiration is united to concentration, the result is meditation." Nice. Upon reading this section, I thought about whether or not I had ever involved myself in serious meditation. I pray consistently, but I had to ask myself if that was the same as meditating. Allen continues this chapter with writing, "When a man intensely desires to reach and realize a higher, purer, and more radiant life than the merely worldly and pleasure loving life, he engages in aspiration; and when he earnestly concentrates his thoughts upon the finding of that life, he practices meditation. " After reading on, I realized that, yes, I had mediated in the past, but it wasn't a regular practice. So, I decided that that this morning would mark the beginning of my efforts to meditate more. I got out of bed, walked a few paces over to my yoga mat, and plopped down with my legs crossed. I put my hands on my knees, closed my eyes and brought my mind into focus. Every now and then it would drift and think about the tasks I needed to complete for the day or how cold it was in the room. At the realization of my lack of focus, though, I'd immediately recenter my attention. In the end, it was quite a nice 20-minutes experience. But I found, as James Allen states, "Meditation is more difficult to practice than concentration...."
If you are a little green when it comes to meditating , like me, you might find the below suggestions from James Allen helpful on when (and when not) to meditate. I became a Yaya fan during cycle 3 of America's Next Top Model. She's absolutely gorgeous! I became more of a fan when I found out that she wasn't just some aspiring model looking for a quick break on a widely-broadcasted reality TV show. She was doing the damn thang before then! 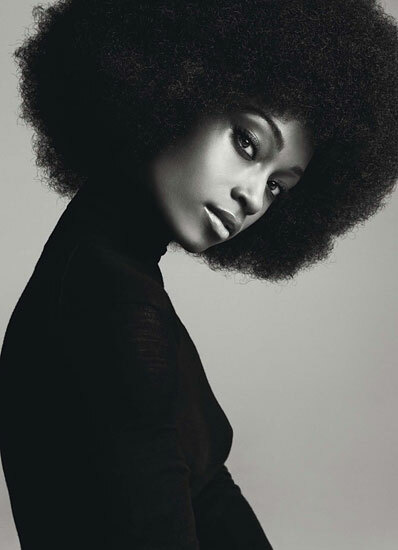 Yaya is a graduate of Brown University with degrees in International Relations and African Studeies. And she's fluent in mutiple languages, including Portuguese, Spanish and French. By the reports, Yaya has been dancing and modeling for the majority of her life, and I get the sense from reading her story that she would have been hugely successful without the reality show (though, it did help). Yaya serves as a perfect reminder that the Universe will align perfectly for us and big breaks will come once we commit to putting in diligent work and staying true to the best that is within us. I have so many fascinating conversations with my girlfriends, ranging in topic from the power of women to haircare to negative relationships. One day, my friend and I were discussing our purpose in life when she determined that our conversation should be turned into a video. I was game. So, we called up another girlfriend with the idea, and she was game too. Our dialogue is typically very real and completely unsugar-coated, so I was a little confused about how it would translate to video. And you'll notice below that this one carries a light-hearted tone because we couldn't stop laughing at the idea that we were taping ourselves. But in between our giggles, you find useful tips on how you can go about discovering your life's purpose. **and because we're silly, we took on different names in this video. CONTEST: Do You Put the GO in GOddess? Visit Goddess Zuri's Facebook page today and let us know what you're going after. Your comment could win you a pair of beautiful Jahzara hoops. Winner will be annouced on Wednesday, February 9th. Goddess Zuri is also having a sale to go along with this contest. Get 20% off your entire purchase through Friday, February 12. Enter coupon code GOGODDESS10 at checkout. Visit www.goddesszuri.com and start shopping! What composes a Goddess? In seven posts over the course of the year, I will use the letters that spell “Goddess” to explain what she is truly made of. G is for Graceful. O is for Optimistic. Anticipating the best possible outcome. A goddess knows she can mold every situation to her liking through positive thoughts and actions. She understands that at the back of every occurrence, there is a lesson to be learned and experience to be gained. So, she focuses not on the situation itself but instead the message it carries. Her optimism is rooted in reality and faith, and it prevents her from defeating (or giving up on) herself. It is her optimism that gives her momentum and allows her to rebound from job-loss, remain open after heartbreak, move past disappointment, and persevere through complacency. In essence, her optimistic perspective permits her to enjoy life despite life. It is oftentimes easier for people to wallow in their less-than-favorable circumstances, seek sympathy, and ask "why me?" But a goddess waste little time following these thought processes because she knows she is as she thinks. And to bring out the best in her, she knows she must not merely exist. But she must live--with optimism. 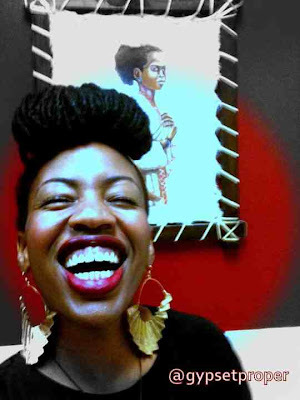 Goddess of the Week: Janice B. Hobbies: traveling, blogging, watching documentaries, researching, and of course listening to all sorts of music. What makes you a fly goddess? : The fact that I follow my dreams and place foot, tooth, brain, nail, melanin, bones, and blood into manifesting them, is one of the reasons why I feel like a fly goddess. I genuinely love what I do, and am very grateful to be able to make a living from it. Additionally, I choose to seek understanding and value each relationship and situation beyond its “surface material.” I live life abundantly, and I aim to continue to be a resource to all people around me. 1. 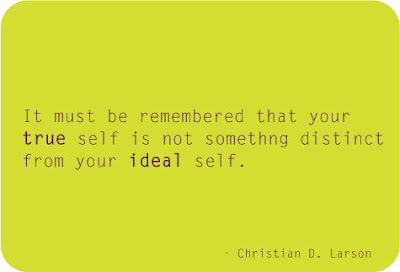 Live life abundantly. Scarcity and competition is an illusion. 2. Goddess be nimble. – Change comes in the form of evolution and revolution. Be prepared for both, and embrace it. 4. Everything you know and feel isn’t public property, nor should it ever be. If you leave your “items” on a “community table”, don’t be upset with what is done with it. 5. This is life, life is good, NO exceptions. For more information on Janice and what she's up to, check her out on the web. I have a soft spot for books that encourage readers to dream big, think positive, love life and have faith. One of my favorites that falls into this motivational category is As a Man Thinketh by James Allen. 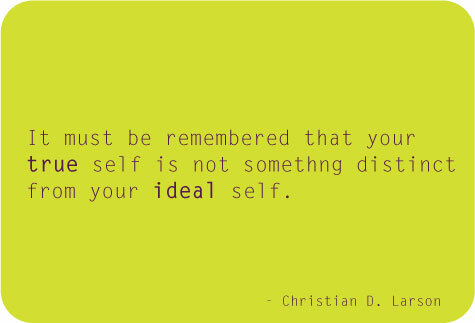 I often re-read it when I feel a bit unmotivated and unfocused, and it never fails to get me back on track. 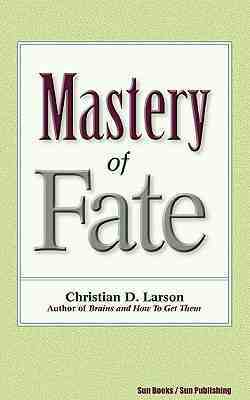 Another rousing book I discovered recently is Mastery of Fate by Christian D. Larson. I wanted to know more about Larson after reading and loving a quote from him that I found on a magnet. So, I searched on Amazon and came across several of his works. After reading the opening lines of Mastery of Fate, I ordered it. This little book is powerful. Every word on each of its 95 pages instantly motivated and inspired me to shape my future and mold my destiny. Each goddess should read it and keep it close to reference. You can download it for free here. Sorori-Tees On Sale For $9!! Goddess Zuri's Sorori-Tees are on sale for $9 each thru this Friday, February 4th!! That's a 50% savings! This line simultaneously celebrates natural beauty and sisterhood with tees that feature popular sororities and natural hairstyles. Alpha Kapa Afro- Ladies of pink and green, get ready to rock your afros with this light-weight shirt. Made especially for the skee-wee chemical free. 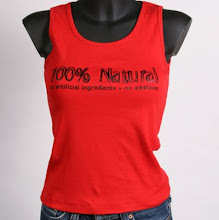 This 100% cotton shirt was made especially for the bellas of DST. Made especially for ladies with natural attitude and fortitude. Zeta No-Lye Beta- This tee was created for sisters of the dove who represent true beauty. Sigma Gamma CornRho- Ladies of SGRho, get ready to rock your cornrows and flat-twist with this slim-fitting, light-weight tee. Me Phi Free- You might not belong to an official sorority, but you still share a sisterhood among natural bellas everywhere! Unofficial sorors, this light-weight, slim-fitting tee is for you. Made especially for the free and unattached. We're talking about dreams here. This 100% cotton, slim-fitting tank was made especially for all the young, beautiful dreamers in the universe. Color- Black. 100% Natural. No artificial ingredients. No additives. 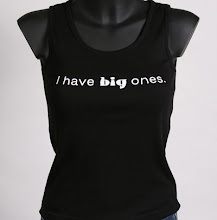 This 100% cotton, slim-fitting tank was made specifically for women who are rocking what God gave them. Real hair. Real nails. Real eyes. Real assets. Color- red. Spring is here! 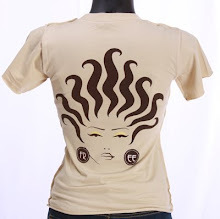 Get your Goddess Zuri tees and accessories today!